Crocs for the Summer time! : A Real Must-Have! You are here: Home / Featured Products of the Week / Crocs for the Summer time! Crocs for the Summer time! A Real Must-Have! I have to say that these have quickly become my favorite go-to shoes for the beach and for heading to the pool. I like that they are comfortable, easy to put on quickly and quite sturdy. 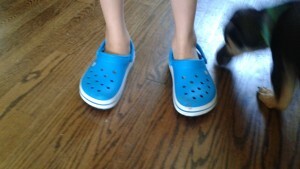 I now see what my son is simply crazy about Crocs! I love them too! 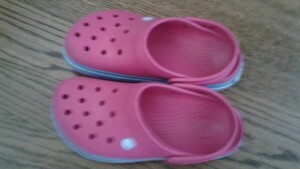 Find these and so many Summer styles at Crocs.com. They also do have some really cool Flip Flops! I just imagine they are much sturdier too! Self Disclosure: I received free Crocs to facilitate this post. Any opinions expressed are my own. Logo credit: Crocs.